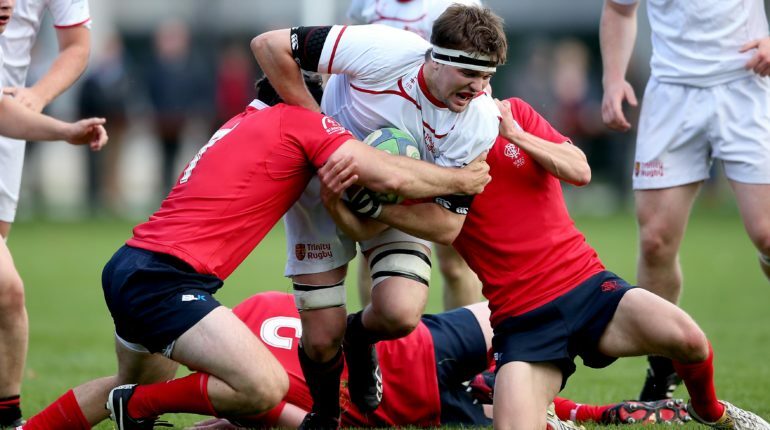 DUFC fell to current Ulster Bank League champions Cork Constitution today in College park, failing to make it three wins on the bounce after beating Young Munster and Buccaneers in their last two league outings. 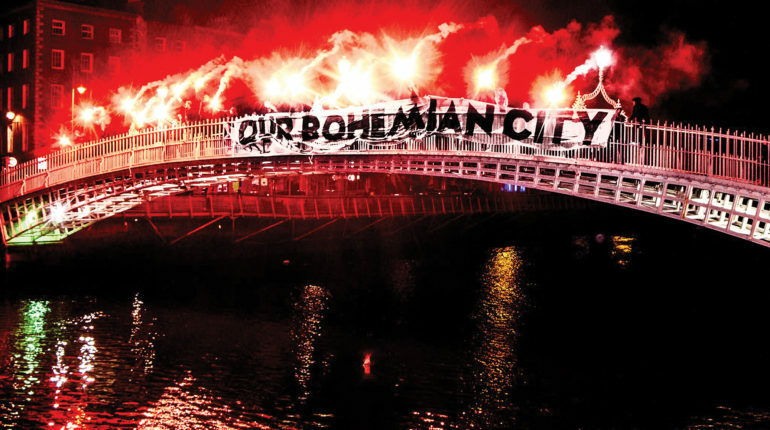 Darragh Higgins takes a look back at DUFC’s season, their first at the top of the league. Trinity made a lightening fast start to the game, with a foot in touch denying a try to elusive winger, Colm Hogan, in their first attack. Trinity came out with three points courtesy of a penalty from out-half, Jack McDermott, but immediately surrendered that lead by conceding a penalty after the restart. 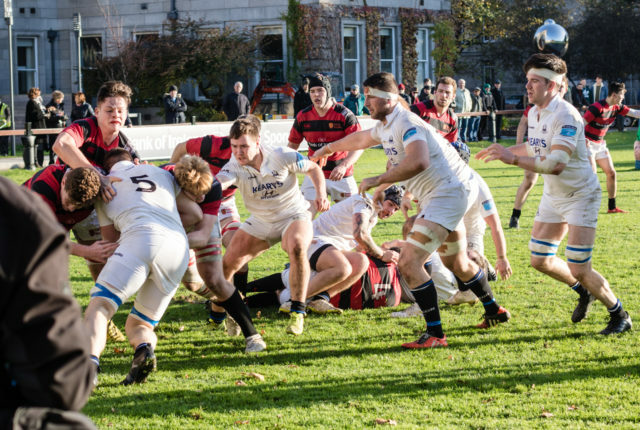 Trinity men bagged their first win over rivals UCD in six attempts in a game that was in the balance for large periods. Trinity always seemed the stronger team, eventually coming out on top in a 28-15 victory. 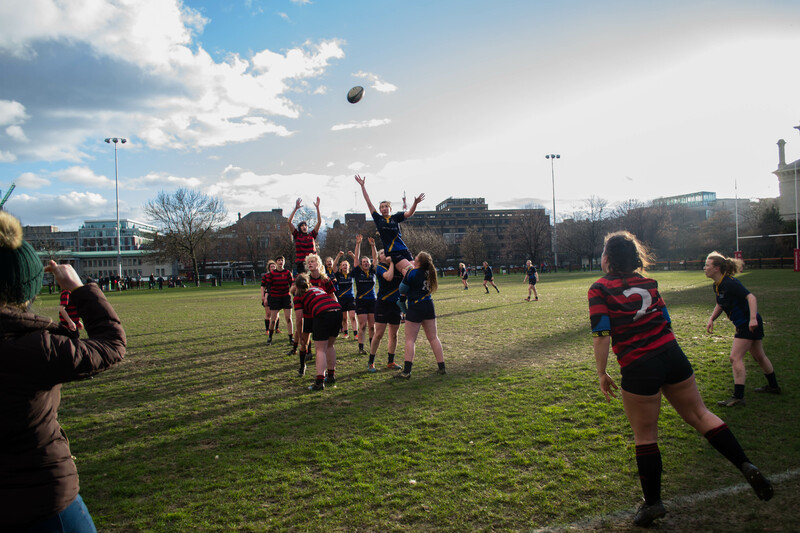 DULFC fail to capitalise on good attacking positions as DCU pull away in the second half to record a comprehensive 27-7 victory. 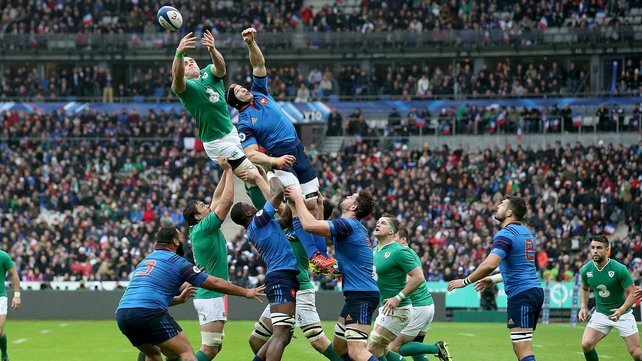 Despite leading for most of the game, Ireland’s inability to convert territory into points and a host of injuries allowed France to edge past them with a much improved second half performance. DULFC fell to NUIG in the final SSI match before the Christmas break. 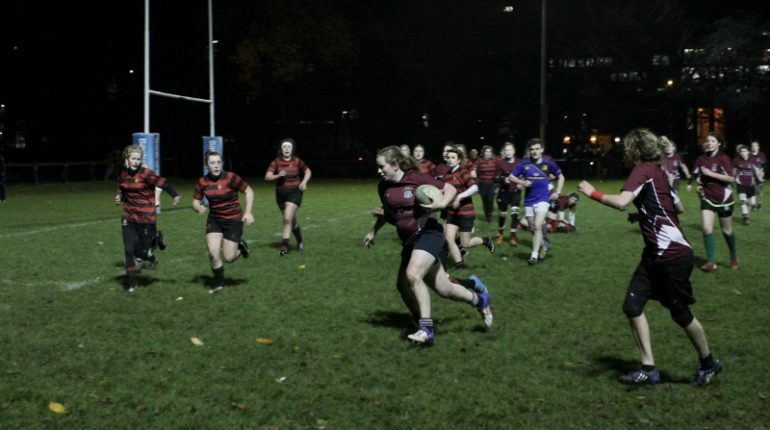 Despite the deceptive scoreline, Trinity remained competitive throughout and only a flurry of tries by NUIG in the closing minutes separated the teams. 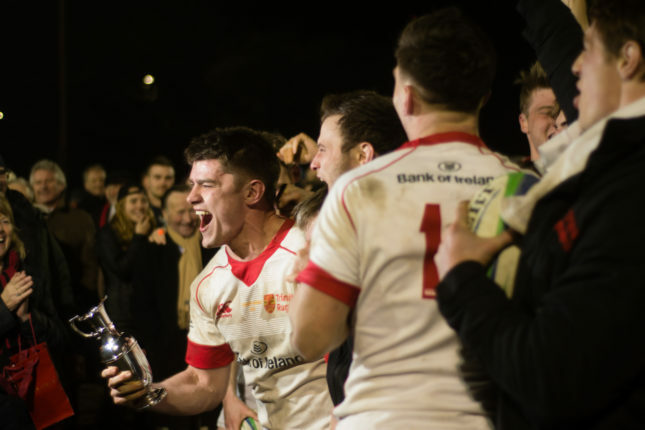 The far too often repeated nauseating cliché that rugby is a “hooligan’s game played by gentlemen while football is a gentlemen’s game played by hooligans” is constantly rolled out as a sweeping generalisation that is bought into by far too many people. 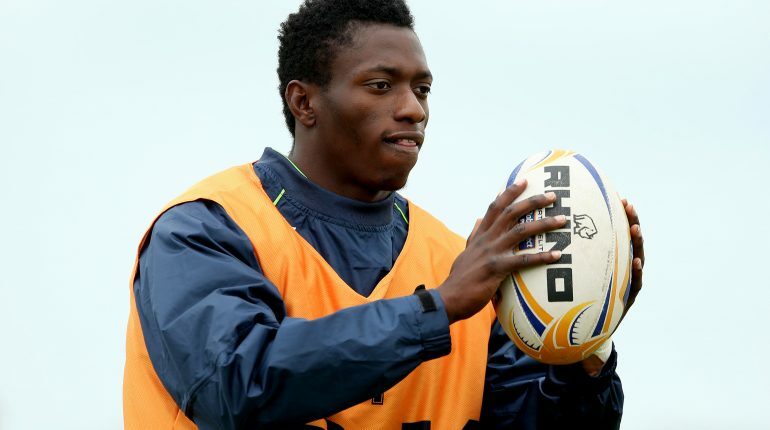 Alicia Lloyd talks to former Trinity player Niyi Adeolokun about his quick rise to professional rugby after recently signing a two-year deal with Connacht.